Remove the engine mount. 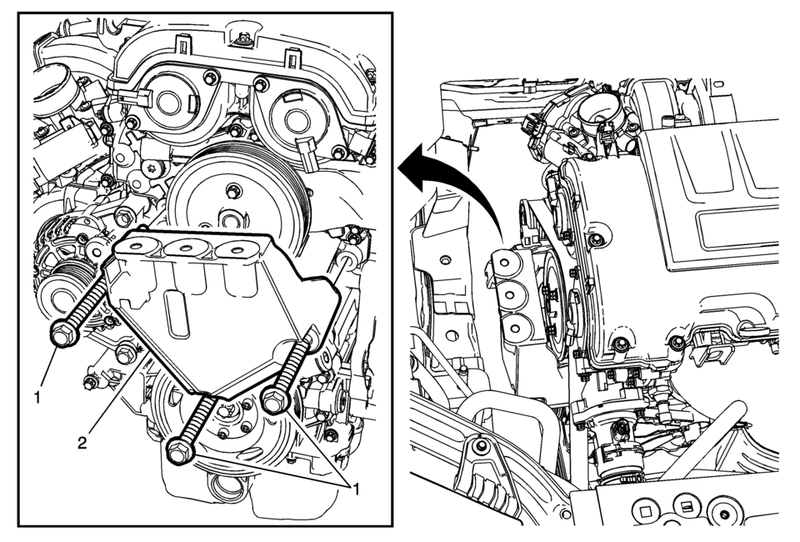 Refer to Engine Mount Replacement - Right Side. Remove the front wheelhouse front liner if necessary. Refer to Front Wheelhouse Liner Replacement. This component uses torque-to-yield bolts. When servicing this component do not reuse the bolts, New torque-to-yield bolts must be installed. Reusing used torque-to-yield bolts will not provide proper bolt torque and clamp load. Failure to install NEW torque-to-yield bolts may lead to engine damage. Raise and lower the engine as needed to access the bolts.